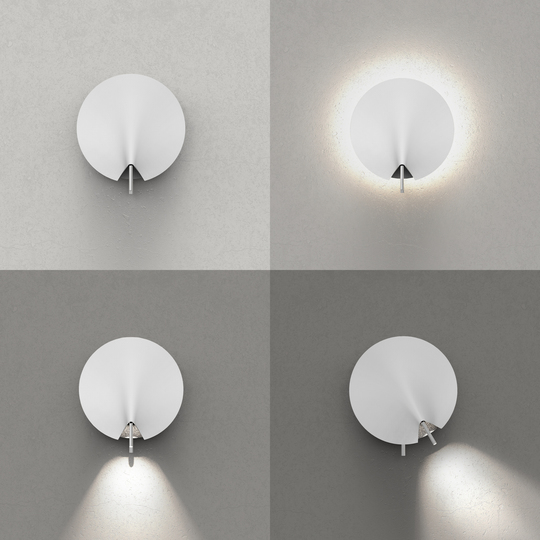 ABAC is a wall lamp with round and soft lines that combines the functions of a reading lamp with a table lamp. The shell evokes the fluidity of lifting a veil which reveals lights. This element turns around a central axis for an intuitive and sensorial use. The axis also helps to guide the reading lamp. An independent and fixed backlight draws a halo of light along the periphery of the lamp which seems to take off from the wall to offer a misty aura. The ABAC lamp is produced and distributed by MLE, and will be presented at this year's BDNY 2018 at booth B1977. The light is only available for hospitality projects.